Brazil have topped Group E with a dominating 2-0 win over Serbia in their final World Cup group game. The Canaries needed to avoid a defeat in this one to avoid going Germany's path. And they managed that brilliantly with Paulinho and Thiago Silva scoring at either side of the break. Serbia threatened at times but lacked precision in the final third. Aleksandar Mitrovic had one glorious chance and numerous half chances to end Brazil's hopes. But the five-time champions held on and secured a fine victory to guarantee their progress. 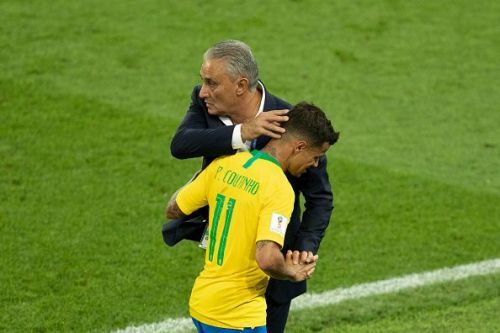 After a draw against Switzerland and a late victory over Costa Rica, Tite and his men were in desperate need of a convincing performance. Serbia were a stern test but from the first minute, Brazil had the intent to secure a win and to impress. 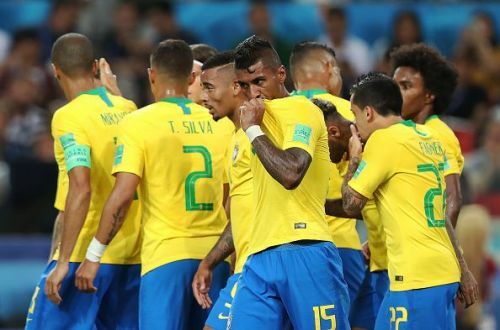 The first half showed glimpses of what this talented bunch of Brazilians can do. Neymar dropped deep to get involved and was lively. Philippe Coutinho was again at his influential best while Paulinho's late runs were proving to be more than a handful. There were some brilliant one-two passes, some fine close control and a spectacle that is synonymous with the Canaries. On a day when one of the pre-tournament favourites were dumped out of the competition, another one reestablished its place. Brazil finally produced a performance worthy of their talent and with the business end of the competition now approaching, Neymar and co. will have to churn out displays like this to get their hands on the trophy.